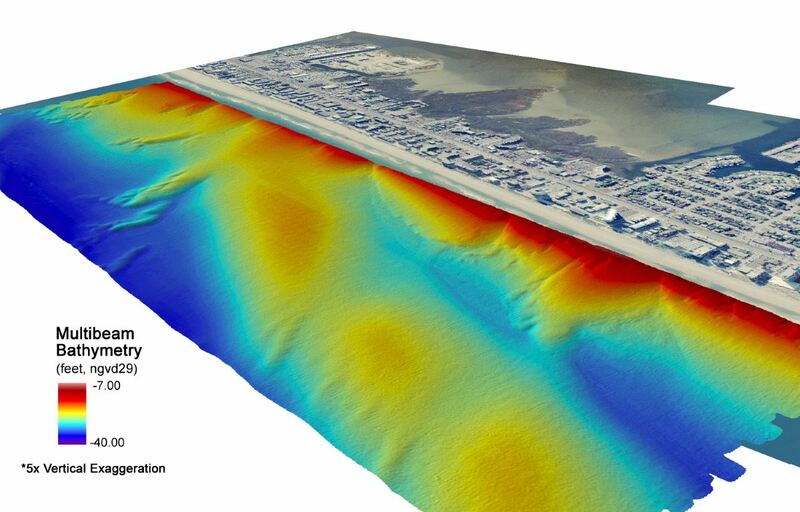 Geodynamics was founded by university researchers in marine geology, coastal science and remote sensing with a simple business model in mind: Using cutting edge technologies and highly qualified staff, we provide meticulous data products to support our clients’ multi-disciplinary needs. 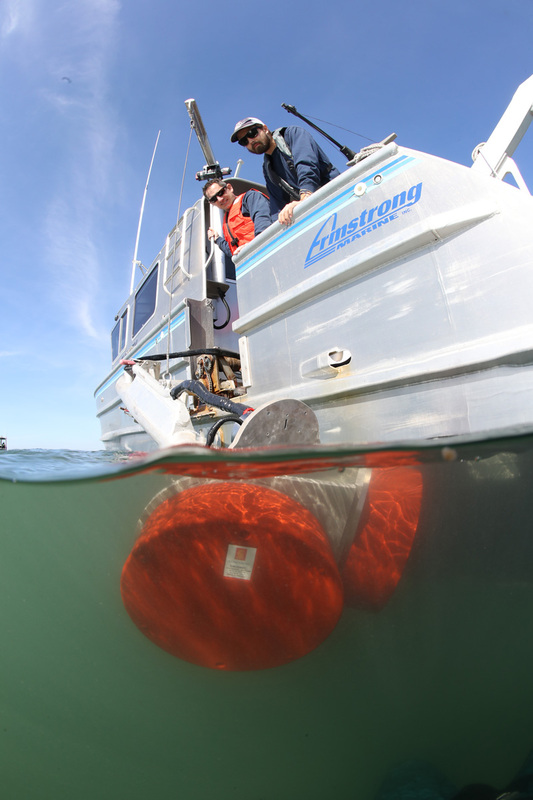 We remain narrowly focused within our area of expertise, and have spent decades developing specialized workflows, investing in evolving survey technologies, and building a team of dedicated and experienced scientists. Our success is rooted in our people—enthusiastic problem solvers with a passion for marine remote sensing, survey, and the science behind it. 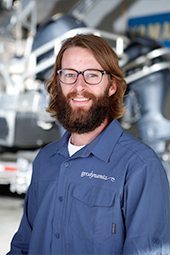 Geodynamics’ progressive “Always Learning” culture empowers team members to pursue advanced training, certifications and licensure, and our “Team First” structure advances our collective knowledge through cross-training and mentorship between junior and senior staff. These principles create a company ethos dedicated to scientific improvement, which translates into greater overall survey accuracy and efficiency through continuous internal research and development. A focused area of expertise. A culture that promotes excellence. This is what keeps Geodynamics at the forefront of our field with a growing base of long-term clients. 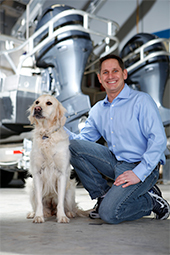 As co-founder and President of Geodynamics LLC, Chris Freeman has managed coastal and nearshore studies throughout the Mid- and South Atlantic region, including high-resolution hydrographic mapping for sediment transport modeling, coastal change analyses and habitat classification, inlet and headland-related tidal hydrodynamics, and the quantification of shoreline processes through 4D shoreline change analyses. 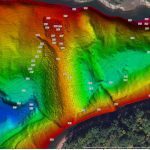 A licensed NC Professional Land Surveyor, he provides technical oversight and project management for all hydrographic, underwater geophysical, and topographic survey projects, using multibeam, singlebeam, magnetometer, sidescan and sub-bottom sonar and 3-dimensional beach and nearshore mapping techniques using RTK-GPS, mobile laser scanning and topographic survey techniques. 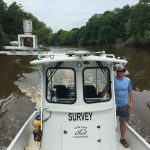 Chris has been actively involved in The Hydrographic Society of America’s Student-Mentor program for several years, and is committed to expanding opportunities for students in hydrography. 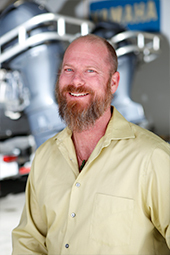 As CEO and co-founder of Geodynamics LLC, Sloan Freeman supervises organizational, contractual and financial activities and manages the company’s operations and long-term planning. 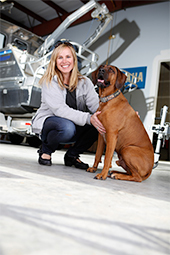 She is a licensed NC Professional Land Surveyor and has completed the NC Military Business Center’s Defense Contractors’ Academy and Duke University’s Research Costing Compliance training. Prior to founding Geodynamics, Sloan worked in the research sector of marine ecology and environmental policy at the Duke University Marine Lab where she managed and coordinated multi-million dollar research grants and projects in the field of coastal and ocean science. As Principal in Charge at Geodynamics, she manages long-term IDIQ contracts with the USACE and coordinates collaborations with partners in coastal engineering, natural resource agencies, and for the US Navy, NOAA, and BOEM. David J. Bernstein, PLS, GISP, C.H. Dave Bernstein is a geospatial mapping specialist, Certified Hydrographer, Professional Land Surveyor, and GIS Professional. 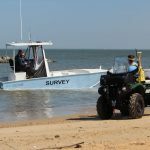 He excels in the field of coastal geographic information science including the collection, processing, and analysis of high-density spatial data derived from sophisticated marine, airborne, and land-based instrumentation systems. 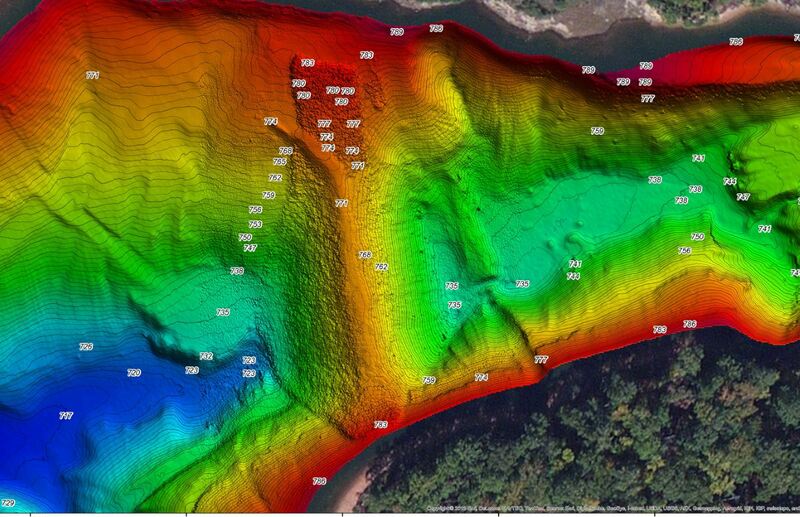 As Vice President of Geodynamics, Dave is actively involved in all stages of hydrographic and topographic survey: design, implementation, processing, and reporting. 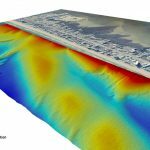 His specialized background in coastal geology and beach morphology ensures that surveys are planned and executed with the highest data quality standards in place. 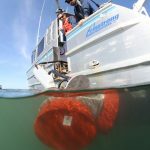 He is committed to furthering the science of modern hydrography, and regularly teaches seminars to students at the College of Charleston BEAMS program and NC State University Coastal Terrain Monitoring & Modeling Lab. 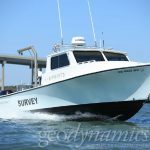 Ben Sumners has over a decade of experience in advanced hydrographic and underwater geophysical surveys, including multibeam, sidescan and sub-bottom sonar, magnetometer, and sediment sampling surveys. He is a geospatial mapping specialist, with advanced GIS skills including digital elevation modeling (DEM) and efficient geodatabase design for large multi-sensor datasets. 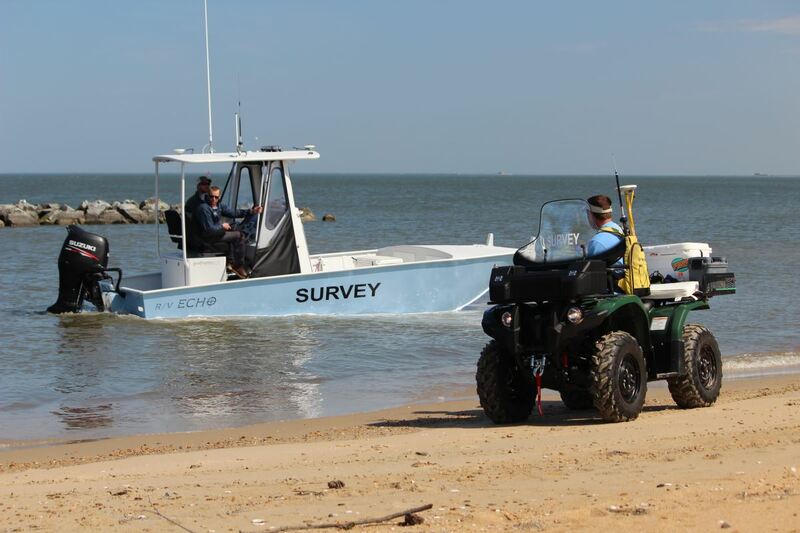 In addition to managing long-term shoreline monitoring projects in the Mid-Atlantic, Ben’s scientific expertise includes seafloor characterization, benthic habitat assessment, and marine geophysical survey to support cultural resources assessment and target identification. 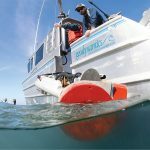 As an experienced Lead Hydrographer for NOAA charting projects and Certified Hydrographer, he has overseen data acquisition and processing at remote locations for extended duration along the east coast of the United States and Gulf of Mexico.